On Tuesday, Donald Trump unveiled a Fiscal Year 2018 budget that would make deep cuts to domestic spending in order to pay for increases in military spending and border security. Several of these cuts, if enacted, would be harmful to children and families, such as the proposed $800 billion cut to Medicaid and the $192 billion cut to the food stamp program. 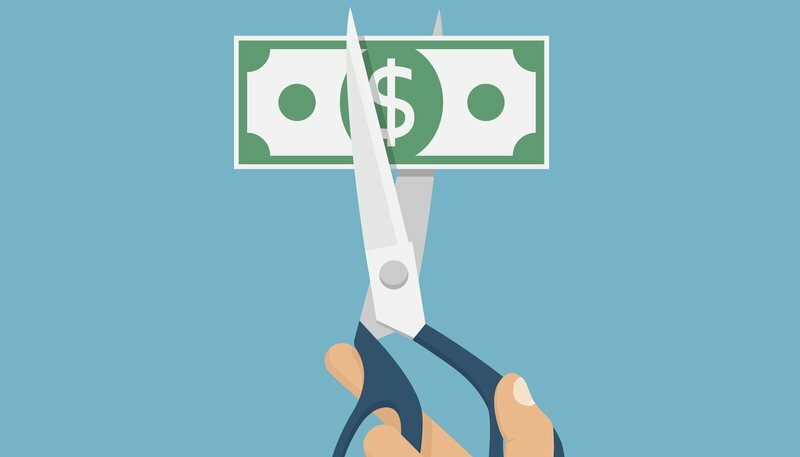 For education, the budget calls for a net $9.2 billion cut to the department, a reduction of over 13 percent from its current funding levels and the largest proposed cut to the department since Ronald Reagan’s 1983 proposed budget. These cuts include $1.2 billion for after-school programs and $2.1 billion for supporting teacher development and class size reduction, eliminating both programs entirely. The budget also calls for the elimination of a federal program that helps low-income college students afford child care, as well as the preschool development grant program. Preschool development grants, which have been funded at $250 million/year, have helped 18 states start or expand their state-funded pre-K programs to children from low-income families. The summary of the education budget points out that ESSA transferred responsibility of the program to HHS, but there’s no mention of the grant program in the HHS budget. Title I grants to local education agencies with high numbers of students from low-income families would be funded at $14.9 billion, about $550 million less than Congress approved earlier this year. The budget includes a new $1 billion increase in Title I funds to be used as grants to school districts that agree to promote school choice through the use of open enrollment systems. When it comes to special education, the proposed budget makes slight cuts to several programs. The Grants to States program would be reduced from $11.91 billion in FY 2016 to $11.89 billion for FY 2018. Meanwhile, preschool grants that help states make special education available to younger children would drop from $368.2 million in FY 2016 to $367.5 million. Formula grants that help states implement early intervention services for infants and toddlers would be reduced from $458.6 million in FY 2016 to $457.7 million. Head Start funding would be held at the same level as FY 2016, which does not include the $85 million increase contained in the final 2017 omnibus budget. This $85 million cut to Head Start could make it difficult for programs to successfully implement the program’s new performance standards which call for significantly increasing the amount of time children spend in the program. Discretionary funding for the Child Care and Development Block Grant (CCDBG) is also included at the FY 2016 level and does not include the $95 million increase in the 2017 omnibus. This proposed cut comes at a time when states are continuing efforts to implement the CCDBG reauthorization law that passed in late 2014. States need more federal resources, not less, to help child care providers meet the increased health and safety standards under the law and to continue to improve quality among providers. Funding for the federal home visiting program would remain at $400 million, the same funding level as FY 2016. This program has provided about 3.3 million home visits over the past five years to at-risk pregnant women and parents with young children up to kindergarten entry. As Ivanka Trump, First Daughter and assistant to the president, has pushed for since the presidential campaign, the budget calls for the creation of a program to provide six weeks of paid leave to mothers and fathers after the birth or adoption of a child. The program is expected to have a total price tag of $25 billion over ten years. A paid family leave program is long overdue. However, a program without increased investment in early learning and that is combined with drastic cuts to the social safety net that many low-income families depend on will do little to benefit most of the nation’s families with young children. While many of the cuts proposed in Trump’s budget are severe and could be particularly detrimental to low-income children, it’s important to remember that it’s ultimately up to Congress to pass a budget. Some congressional Republicans are criticizing this budget proposal as too harsh. Several Senate Republicans have already labeled the budget “dead on arrival,” meaning -- much like FY 2017-- there’s a long battle ahead to determine exactly what programs are funded at what level in 2018.